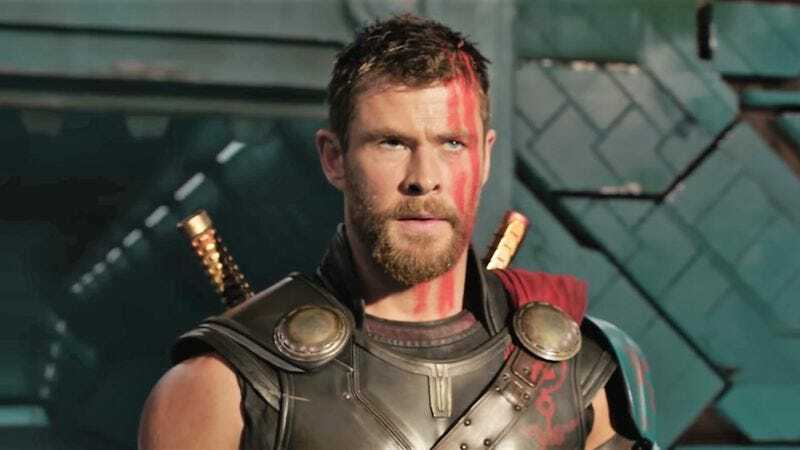 Though it’s already managed to set a record for trailer views, Thor: Ragnarok isn’t quite ready for the gladiator arena that is the early Oscar season. Sure, there are only three months left till its November 3 release, but the third Thor movie is about to undergo reshoots in Sakaar, i.e., Atlanta. There’s no word on what scene is getting another workout, but according to the Atlanta Journal-Constitution, the production needs hot, beefy dudes—and lots of ‘em. The AJC shared the reshoot casting call, which is looking for “Caucasian-looking men who are over 18 and between 5’10” and 6’1” are sought. You must be very physically fit, with muscular and defined arms. (Subject: FIT).” Read: In order to join the expanding cast, you must be fit, swole, jacked. Filming will take place from July 12 through July 19, and the application and compensation details are available at the AJC post. The “Caucasian-looking” part of the description is bound to raise some eyebrows, but 1. these are probably just extras, who 2. we’d like to think are probably in some kind of dream sequence the Hulk has in prison, but 3. more importantly, the core cast, which includes Idris Elba and Tessa Thompson (not to mention director Taika Waitii), is plenty diverse. Not only that, but Waititi spoke up about his responsibility to the Aboriginal people of Australia, making sure to hire Aboriginal crew members for the film. So, you can probably walk into that audition with your tank top (or salivate nearby) relatively guilt free.